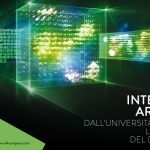 Most deep learning subareas will be displayed, and main challenges identified through 4 keynote lectures, 30 six-hour courses, and 1 round table, which will tackle the most active and promising topics. The organizers are convinced that outstanding speakers will attract the brightest and most motivated students. Interaction will be a main component of the event. An open session will give participants the opportunity to present their own work in progress in 5 minutes. In principle, graduate students, doctoral students and postdocs will be typical profiles of participants. However, there are no formal pre-requisites for attendance in terms of academic degrees. Since there will be a variety of levels, specific knowledge background may be assumed for some of the courses. 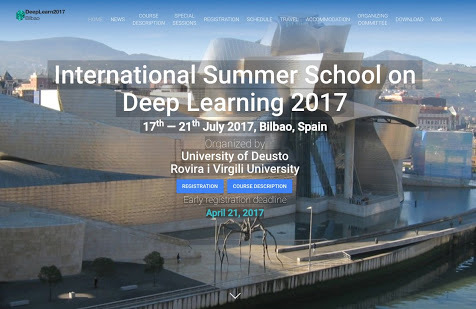 DeepLearn 2017 is also appropriate for more senior academics and practitioners who want to keep themselves updated on recent developments and future trends. All will surely find it fruitful to listen and discuss with major researchers, industry leaders and innovators. In addition to keynotes, 3-4 courses will run in parallel during the whole event. Participants will be able to freely choose the courses they wish to attend as well as to move from one to another. An open session will collect 5-minute voluntary presentations of work in progress by participants. They should submit a half-page abstract containing title, authors, and summary of the research to david.silva409 (at) yahoo.com by July 9, 2017. A specific session will be devoted to demonstrations of practical uses of deep learning in industrial processes. Companies/people interested in contributing are welcome to submit a 1-page abstract containing the program of the demonstration, the duration requested and the logistics necessary. At least one of the people participating in the demonstration should have registered for the event. Expressions of interest have to be submitted to david.silva409 (at) yahoo.com by July 2, 2017. Firms searching for personnel well skilled in deep learning will have a space reserved for one-to-one contacts. At least one of the people in charge of the search should have registered for the event. Expressions of interest have to be submitted to david.silva409 (at) yahoo.com by July 2, 2017. Suggestions for accommodation are available on the website.